Motivation can’t be found. Unlike lost keys, or even the coin of great worth, motivation can’t be found. It’s not lost. Motivation is made. It’s not made from feelings, or emotions, or delivered by a muse, or even from on high. 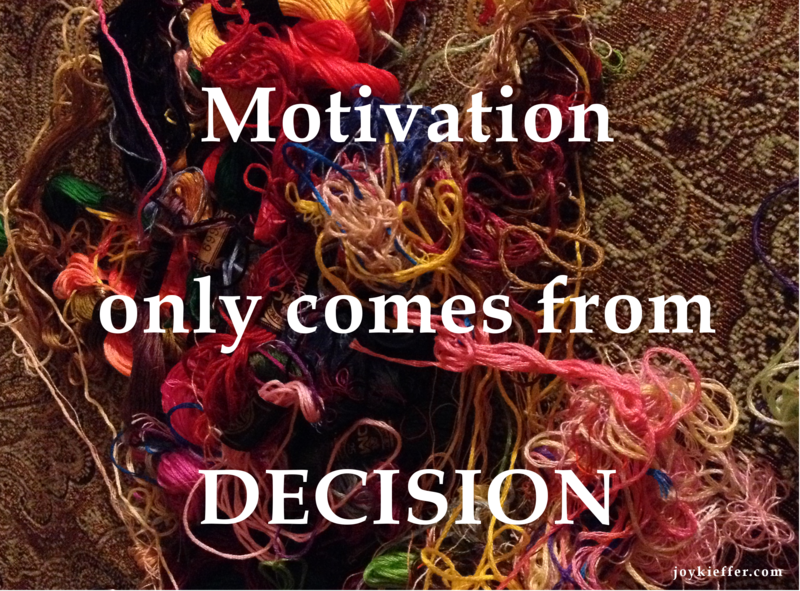 Motivation can only be formed by rational, deliberate, intentional decisions. God Himself can’t and won’t motivate you. Not that He’s not all-powerful, but because His first priority is to give us the complete freedom of CHOICE. He made a plan before time began. Every nuance of history and the future was woven before the first man was formed. There are no tangled threads in God’s tapestry. We, however, are overwhelmed with choices and decisions to make. Therein lies the problem. We let the overwhelmingness of our days keep us from being intentional. We take the easy and lazy way out. We deceive ourselves into believing that it’s all too much. But it’s not too much. God doesn’t leave us hopeless and helpless. He put within every believer His Spirit to guide us into all wisdom. We make thousands of decisions every single day. What percentage of them do we make after asking for His help? “Pray without ceasing” takes on a whole new light, doesn’t it? Do you want to get things accomplished? Reach your goals? Work on the real priorities, instead of being sabotaged by the subterfuge of instant gratification? Make some real decisions! Motivation will follow. This picture and the title may be all you need for this God-Glimpse. Our very best efforts to repair ourselves turn out like this–a bad idea made worse by lack of experience, resources and patience. Rot started the problem. A section of the rafter had to go before the fungus spread to the rest of the roof. But it wasn’t enough to remove just a section of the board, the entire rafter should have been replaced with new. It’s not enough to get rid of sin, bad habits or even weaknesses; they must be replaced, or the roof of our good intentions will soon leak and eventually cave in. Only The Master Carpenter has the experience, resources and patience to repair the rot of our lives. Only His Word is strong enough to shore up the roof over our heads. Replace the old rafters of your life with new Living Words from the Father of Life. If you’re going to break and enter, it’s best not to leave your business card. Yep, this is it. The black bag from yesterday’s God Glimpse. 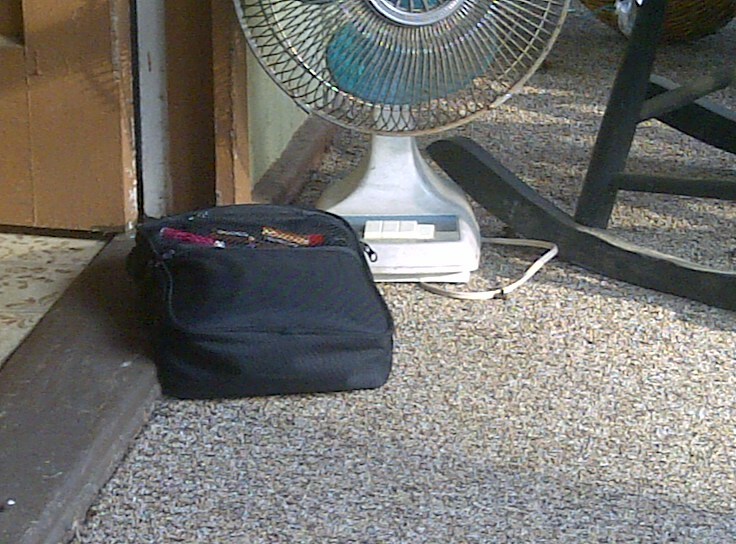 It contains our intruder’s cell phone, prescription medicine with his name, even Chapstick with his DNA. Hey, I’m just saying, if you want to break into someone’s house, it might be wise not to leave your personal belongings behind. God Glimpse – bone up on the book of Proverbs. It will save you a world of stupid. Yesterday’s post dealt with hope deferred. When I took this photo, the sky was a beautiful blue, just begging me to look up. 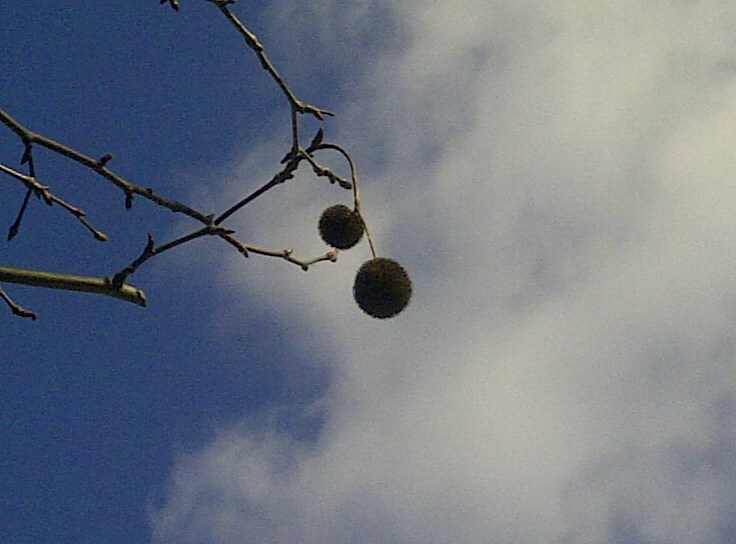 Sycamore seeds. Fascinating textured globes of promise. In my minds eye they are broken all over the driveway, as they will be soon. They’re smashed from the impact of falling, squashed by tires, blown into fluff bits, and floating in the wind in tiny segments. They’re everywhere! They’re landing in my flower beds, in the lawn, heading for the soccer field across the street . . . if they make it past the hedge of trees. “Just DO it” reverberates from yesterday. Take a few seconds to watch this video and re-energize, whether for the task at hand, or the long-haul. Steal this, post this, give it away . 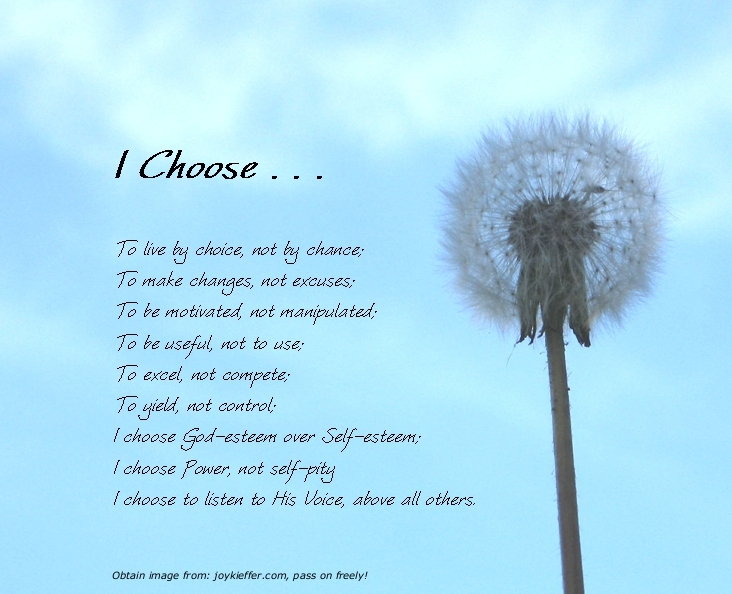 . . It’s time we choose to make choices, even if that choice means denying ourselves.